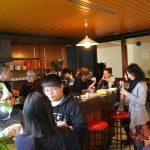 CILFA is a French language school located in exceptional surroundings between mountains and lake in the historic town of Annecy. CILFA is located less than 40 km from Geneva. CILFA specializes in teaching the French language to foreign students of all levels. 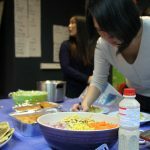 In 2018, CILFA’s French courses welcomed 179 people from 56 different nationalities with ages ranging from 18 to 72. 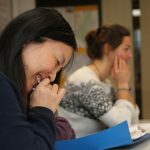 Regardless of your nationality or level of French, CILFA, Centre International de Langue Française d’Annecy (Annecy International Center of French Language) offers courses and activities in French as a foreign language, as well as DELF exam preparation classes. Since June 1999, CILFA has been an examination center for DELF and DALF certification thanks to an agreement with the “Université Savoie Mont Blanc”. 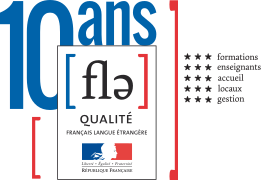 The « Qualité Français Langue Etrangère » certification aims to identify, recognize and promote French foreign language centres whose language teaching and services present assurances of quality. The « Qualité FLE » certification was awarded to CILFA by the French government in 2007. In 2015, CILFA was one of the few French language schools in France to achieve the maximum number of stars in each of the five categories. 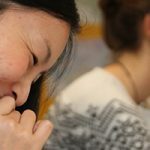 The courses at CILFA are facilitated by certified French teachers dedicated to dynamic, friendly and objective learning. Our administrative team is also there to assist you with everything you will need for your stay in France, from learning tips and resources to administrative problem solving. 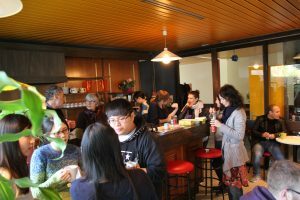 You will learn French in a supportive atmosphere and eventually validate your stay with a DELF certification. 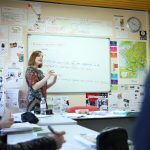 In addition to French lessons, enrich your experience of the French language and culture, by joining in a range of recreational, cultural and linguistic activities organized by the teachers. These enjoyable activities support your classroom learning in real-life settings. See you soon at CILFA! Watch several CILFA videos in 15 languages!